The Music Academy of the West today announced its 71st season, which will include the launch of a major new four-year partnership with the London Symphony Orchestra. 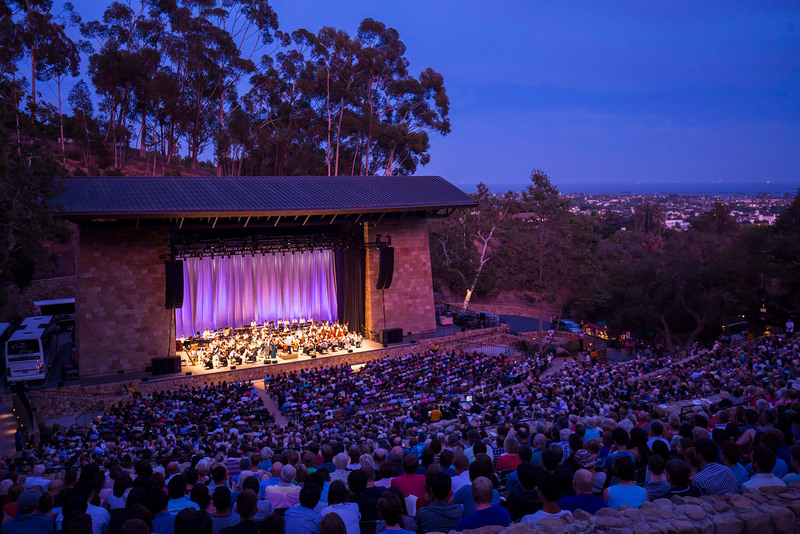 Additional highlights of the season include a community concert at the Santa Barbara Bowl featuring the Academy Festival Orchestra with the Los Angeles Master Chorale performing the Symphony No. 2, “Resurrection,” by Gustav Mahler under the baton of the LA Philharmonic’s music director, Gustavo Dudamel. Four thousand tickets for this finale concert on Saturday, August 11, will be made available at just $10 each, and young people between the ages of 7 and 17 will be admitted free with an adult, tickets required. Of the collaboration with the London Symphony Orchestra, Music Academy President and CEO Scott Reed said that this move “takes our fellows’ experience global and increases our impact on an international scale.” Reed also pointed out that the choice of Mahler’s “Resurrection” symphony is a deliberate response to the devastating events of 2017-18, calling the community concert the academy’s “gift to the people of Santa Barbara who have suffered, yet triumphed over, heartbreaking tragedies this year.” It’s a great honor to have Dudamel involved, and the Los Angeles Master Chorale is one of the world’s premier choral groups. In addition to these major developments, the Music Academy continues to grow in other ways. The Classical Evolution/Revolution Conference, which took place at the beginning of last season, is back, with a stellar line-up of critics, producers, and performers ready to talk about the latest trends in classical music presenting. The opera this year is Mozart’s The Marriage of Figaro, and it will be conducted by James Conlon, the music director of the Los Angeles Opera, who will be making his Music Academy debut. Over the next three summers, Michael Tilson Thomas and other key personnel associated with the London Symphony will be performing and teaching at the academy. The full orchestra will be in residence for the 2019 and 2021 seasons. The academy’s Composer-in-Residence program continues with six participants, including the Pulitzer Prize–winning Caroline Shaw. All of this and much, much more will take place not only on the Academy’s Miraflores campus in Montecito, but also at other Santa Barbara venues including the Lobero, the Granada, and the Santa Barbara Bowl. For tickets and further information for all Music Academy of the West events, call the ticket office at (805) 969-8787 or visit musicacademy.org.